Welcome to Cyberframe Infotech Pvt. Ltd. 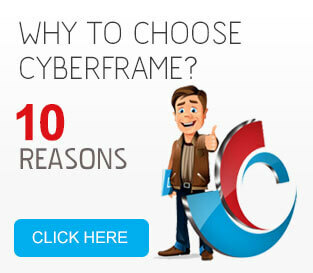 The User may obtain the Services by either registering on the Company website www.cyberframe.in or may directly approach the Company and avail the Services. This consists of the terms and conditions (hereinafter the "Terms" or "Terms of Service"). 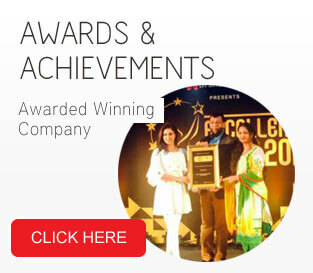 A.The Company is engaged in the business of providing Voice based cloud telephony solutions etc. to the enterprises, SME's, individuals etc. 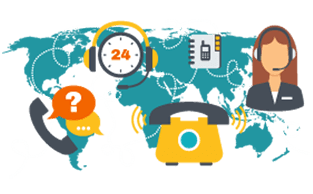 B.The User is desirous in engaging and utilizing cloud telephony services for its business requirements and the Company is desirous to provide the Services, as required by the User, against consideration. 2.1 The User may obtain the Services by either registering on the Company website www.cyberframe.in or may directly approach the Company and avail of the Services or through reseller of Cyberframe Infotech Pvt.Ltd. This Agreement consists of the terms and conditions (hereinafter the "Terms" or "Terms of Service"). 2.2 The Services shall be utilized strictly for lawful purposes in accordance with the terms as provided here in below. Further, the user shall ensure not to transmit using the Services any material which violates or infringes in any way upon the rights of others, which is unlawful, threatening, abusive, defamatory, invasive of privacy or publicity rights, vulgar, obscene, profane or otherwise objectionable, which encourages conduct that would constitute a criminal offense, give right to civil liability or otherwise violate any applicable law. User can not use Cyberframe Infotech Pvt.Ltd subscribed number in any kind of marketing/promotional/spam SMS messages send to Do not call registry numbers. If user use Cyberframe Infotech Pvt.Ltd number in promotional SMS messages and send to Do not call registry numbers than this kind of act is violation of Cyberframe Infotech Pvt.Ltd user agreement & TRAI guidelines. This lead to suspension of Cyberframe Infotech Pvt.Ltd account. User is liable to pay all penalties and litigation fee applied to Cyberframe Infotech Pvt.Ltd by any concern authorities because of violation of Cyberframe Infotech Pvt.Ltd terms and Cyberframe Infotech Pvt.Ltd service usage policy. 2.3 The Company reserves the right to update or modify the Terms of Service, as provided hereinbelow, any time during the Term of this Agreement without any prior notice to the User and which may include adding or withdrawal of Service. The use of the Services after any such modifications shall constitute an agreement to use Services without any objections by the User. 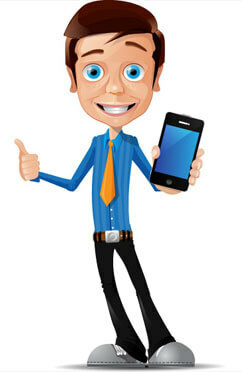 2.6 User acknowledges and agrees to act responsibly at all times and ensure that Users availing of Virtual Receptionist services with respect to forwarding of calls shall ensure that the Virtual receptionist Services are used in a manner so that there is no unreasonable and excessive levels of usage, which may amount to network congestion and causing inconvenience to the large set of customers pursuant to Company's Policy. 2.7 User acknowledges and agrees that call forwarding in excess of shall be a violation of policy and shall be deemed a breach of a material term hereof. Upon such violation the Company shall contact the User to understand whether such violation of excessive and unreasonable usage was caused due to a system problem like virus infection or any such technical problem. Pursuant to the investigation, if it is found that such violation was not due to any virus infection or any such technical problem and the User continues to violate usage policy without giving any satisfactory reason and without increasing number of channels, the Company suspend or terminate the User account immediately. Cyberframe Infotech Pvt.Ltd provides limited number of free incoming calls to subscriber in case of LEG A and number of free calls are equivalent to cost of plan subscribed by subscriber example In Rs.300 monthly plan only 300 calls are free of charge and additional calls will be charge as per incoming call charges (LEG A is incoming call from received by Cyberframe Infotech Pvt.Ltd server from caller and LEG B is call forwarded from Cyberframe Infotech Pvt.Ltd's server to agents at customer's end). 2.8 User can not use click to call service for marketing purpose and can not call to Do not call registry numbers. 3.2.4 to protect you from the TRAI 13th amendment, we request you to never publish an Cyberframe Infotech Pvt.Ltd number on any of your collateral, including, but not limited to the Website, Google adwords, Visiting cards, Fliers, Any offline material, SMS blasts. Cyberframe Infotech Pvt.Ltd advice you to Purchase a mobile/Tollfree number from Reliance if you don't have one already. 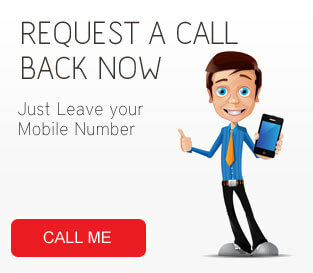 Setup a divert on that number to forward all calls to your Cyberframe Infotech Pvt.Ltd Number. This steps will ensure that your customer facing number is owned by you. 3.2.6 defame, abuse, harass, stalk, threaten or otherwise violate the legal rights of others; publish, post, distribute or disseminate any inappropriate, profane, defamatory, obscene, indecent or unlawful topic, name, material or information through fax; restrict or inhibit any other User from using and enjoying the Services; maintain and create data by recording calls acquired through the use of Services and which is otherwise not permitted under applicable law;create a false identity for the purpose of utilizing the Services and misleading others. 4.3 The User understands that the Company Website may contain links to websites that are owned and operated by third parties that are not affiliated with Company. When a User uses these links, the Company will have no ability to protect User's interests. User agrees that the Company is responsible for and, unless it expressly states otherwise in writing, makes no warranty or representation regarding and does not endorse any linked website or any service, product or information provided on or through the linked website. 5.2.5 Cyberframe Infotech Pvt.Ltd accept payment only by cheque, NEFT, Credit, Debit card, Online banking. Cyberframe Infotech Pvt.Ltd do not accept cash payments in any circumstances. Cyberframe Infotech Pvt.Ltd will not adjust cash payment against invoices if user make cash payment. Cash payment will be returned by Cyberframe Infotech Pvt.Ltd to user directly in his/ her bank account in 5 working days. 5.2.6 Cyberframe Infotech Pvt.Ltd, as a service provider, are bound by the regulations set forth by our telecom provider. There are some directives to all the telecom related providers keeping in view of the National Security. We require below documents from individual/companies using Cyberframe Infotech Pvt.Ltd services. 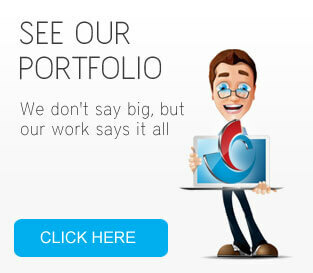 You need to upload documents by login to your Cyberframe Infotech Pvt.Ltd account. a) Address proof (any of the following) :- Passport, latest paid Telephone/Gas/Water /Electricity/ Credit card/House tax bills receipt, Allotment letter of accommodation issued by estate Office of a government body, Income tax return, Election card, Rent receipt/ Rent lease agreement. b) Documents required for identity proof (any of the following) :- Passport, Driving licence, Election card issued by Election Commission, PAN card. Any Government document containing photograph, identity card issued by Government/Semi Government/PSU/Recognized Institutions. c) Signed copy of attached Cyberframe Infotech Pvt.Ltd subscription form sent to user by email or in the last of this agreement. 05-b Surya Kiran Building, 92 The Mall , Ludhiana, Punjab. 8.1 Force Majeure: Neither Party shall be liable to the other for delays or failures in performance of Services resulting from causes beyond the reasonable control of that Party, including, but not limited to, acts of God, labor disputes or disturbances, material shortages or rationing, riots, acts of war, governmental regulations, communication or utility failures, or casualties. 8.3 SMS Alerts:As a registered user of www.cyberframe.in website, Cyberframe Infotech Pvt.Ltd has rights to send SMS alerts to it's registered users (In both cases whether number is registered in DND registry or not) for payment reminders/ demo account/ informing clients for new tariff plan and services /informing users for demo account expiry/ subscribers of incoming fax/call alerts until unless we do not receive any email communication from client to stop SMS service by email at support@cyberframe.in. 8.7 Governing Law: This Agreement shall be governed by and interpreted and construed in accordance with the laws of India, except with respect to choice of law principles. All disputes arising in connection with this Agreement shall be finally settled under the Arbitration & Conciliation Act of 1996 by one or more arbitrators appointed in accordance with such Act. The venue of the arbitration shall be New Delhi, India and the language of the arbitration shall be English. The parties hereto undertake to keep the arbitration proceedings and all information, pleadings, documents, evidence and all matters relating thereto confidential. Neither party shall be entitled to commence or maintain any action in a court of law upon any matter in dispute until such matter has been submitted and decided by arbitration as herein provided and then only for the enforcement of the arbitrator's award; provided, however, that the parties hereto shall be permitted to seek temporary or preliminary equitable relief in a court prior to the initiation or resolution of any arbitration proceeding hereunder. 8.8 Notices and Payments: All notices and other communications required or permitted to be given under this Agreement shall be made in writing and shall be delivered by hand, recognized overnight courier service or facsimile. Notice shall be deemed given on (i) the date of delivery when delivered by personal delivery or overnight courier, or (ii) the date of transmission if sent by facsimile (or if transmission is after 6:00 PM in recipient's time zone, then on the first business day thereafter), provided that a confirming copy is sent within two (2) business days by personal delivery, recognized overnight courier service or registered mail. All notices under this Agreement shall be sent to the Parties at the addresses set forth below or to such other addresses as either of the Parties shall designate by notice given in writing pursuant to this clause. Just Leave your number, We'll call you shortly!